U Can Store It is the perfect long term, short term and Caravan Storage Varsity Lakes. Located just off Reedy Creek Road at West Burleigh / Varsity Lakes, U Can store it provides a huge range of short term storage facility areas, ranging in size from just a few square meters to business commercial storage areas. U Can Store It Caravan Storage Varsity Lakes also provides secure and undercover short term and long term storage for boats, cars and even mobile home and heavy vehicles. The beauty of this Caravan Storage Varsity Lakes company is that not only are they located between Broadbeach and Robina / Vaisity, thus servicing the southern Gold Coast, they are also less than a minute off the M1, providing convenient all hours access for those that live further north and south and need a central Caravan Storage Varsity Lakes. 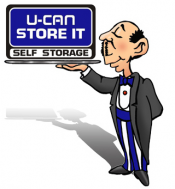 The U Can Store It’s Caravan Storage Varsity Lakes website lists all of their storage facilities and prices, and you can enquire online via their excellent form and quick quote facilities. This Caravan Storage Varsity Lakes website comes will full size, excellent photos of each shed and lock up, and even includes clear views of their vehicle and boat storage areas. Also, they provide excellent business and commercial storage lots that allows your business to access your excess stock, archives or general storage needs 7 days a week, with the confidence of knowing they are in secure and monitored storage. Finding Broadbeach Short Term Storage solutions has never been easier, simply use the form on the left 24 hours a day, 7 days a week to secure your valuable posessions in a clean, well managed and affordable Caravan Storage Varsity Lakes. We look forward to welcoming you at U Can Store It Caravan Storage Varsity Lakes.